Loyal, generous, kind, and even occasionally brave, Piglet is Winnie the Pooh’s best friend and confidant. He lives in a beech tree in the Hundred Acre Wood and is described as a “Very Small Animal”. 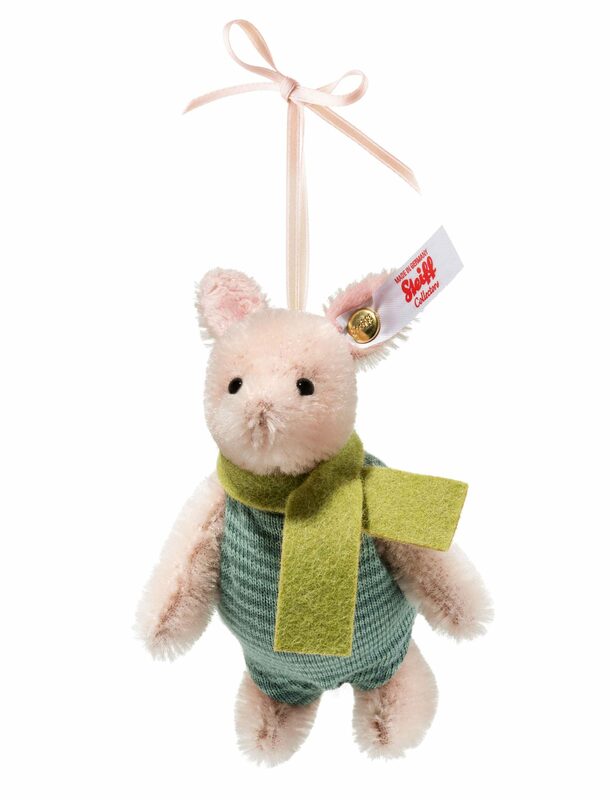 Steiff’s version of this lovable character is therefore appropriately diminutive – just the right size to hang on a Christmas tree, handbag, or backpack. 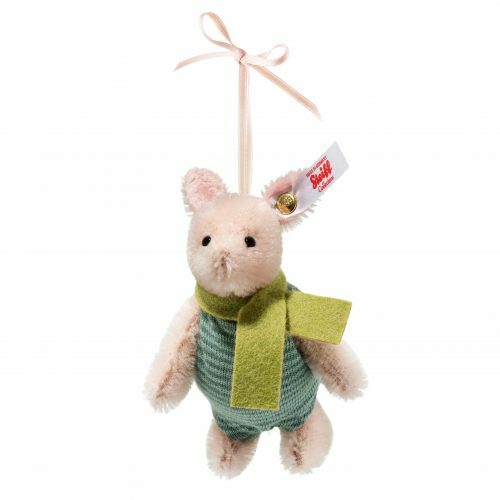 Use his satin ribbon to suspend him wherever you’d like to add a touch of whimsy. Piglet is sewn from pale pink mohair (which was custom-dyed to match the exact skin color specified by Disney animators), has jointed arms, and wears his signature striped shirt. Whether you’re celebrating the holidays, showing your appreciation for the A.A. Milne characters, or you’re just a child at heart, there’s sure to be a place in your life where Piglet would bring joy.